Homeowners, construction project owners, and real estate investors want their work done right. When it isn't, it can create complex and costly disputes. Legal challenges can put a construction project on hold, cause expensive delays, threaten a company's profits, and even put licenses at risk. When your livelihood as a contractor, your home or your investment property are on the line, you need an attorney with a specialized understanding of Florida construction laws and construction liens to help make it right. We proudly work with homeowners & contractor firms in the Fort Myers, Cape Coral & Punta Gorda, FL areas. Whenever the answer to any of these questions is no, a construction law attorney can help enforce construction contracts. Through informal negotiation, alternative dispute resolution options, or formal civil lawsuits, Fisher Law Office, PLLC, provides individualized construction solutions for homeowners and contractor firms alike. When natural disasters roll through Fort Myers, Cape Coral or Punta Gorda, FL, unlicensed and unprofessional builders can stand between homeowners and their restored homes. When contractors ignore state and local safety ordinances and laws, it can put homeowners and consumers at risk. In those cases, Fisher Law can help property owners enforce Florida's contractor licensing laws. However, a homeowner's dissatisfaction should not automatically put a contractor's professional license on the line. Attorney Peter Fisher will appear on behalf of licensed contractors and trade professionals before local and state agencies to defend against disciplinary complaints made by customers. Fisher Law will help you to sort through whether you are facing legitimate challenges or if allegations are simply homeowners taking advantage of the complaint process to avoid paying for construction costs. Construction liens are intended to protect contractors and make certain that property owners pay their bills. When a customer refuses to pay, construction liens provide security to contractors, subcontractors, material suppliers, and laborers to collect on payment for their labor, services, and materials which they have provided, and which have improved real property. However, the legal processes necessary to record, perfect, enforce and foreclose upon construction liens in Florida is governed by one of the state's most complicated statutes. Attorney Fisher understands the complex processes and procedures that are required to prepare and enforce Florida construction liens. If you are a contractor who has improved real property and are entitled to past due payments, Attorney Fisher can help you get your accounts paid. If, instead, you are an owner faced with a lien against your property, Attorney Fisher can help you assess whether that lien is valid. When natural disasters or other calamity cause damage to insured properties, owners need repairs done quickly, even when they don't have the cash on hand to pay for them. For some, homeowners' policies and commercial property and casualty insurance policies can pay for repair and construction costs after a covered event. 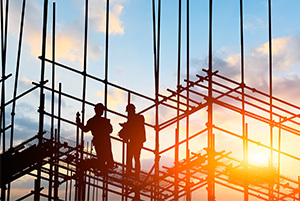 Fisher Law can help contractors prove that their reasonable overhead and administrative costs should be covered by these policies, and help policyholders collect insurance benefits for necessary construction costs. Florida law can make it all too easy for both contractors and property owners to get tangled up in policies and procedures. From enforcing construction contracts to defending licensing issues, you need a construction law attorney to help you through the process and protect your interests. Find a resolution to your construction issues! Contact Fisher Law today to meet with Attorney Peter Fisher and get started. Attorney Fisher can also come to you on site to discuss your issue, so you won't lose any more time on your project.